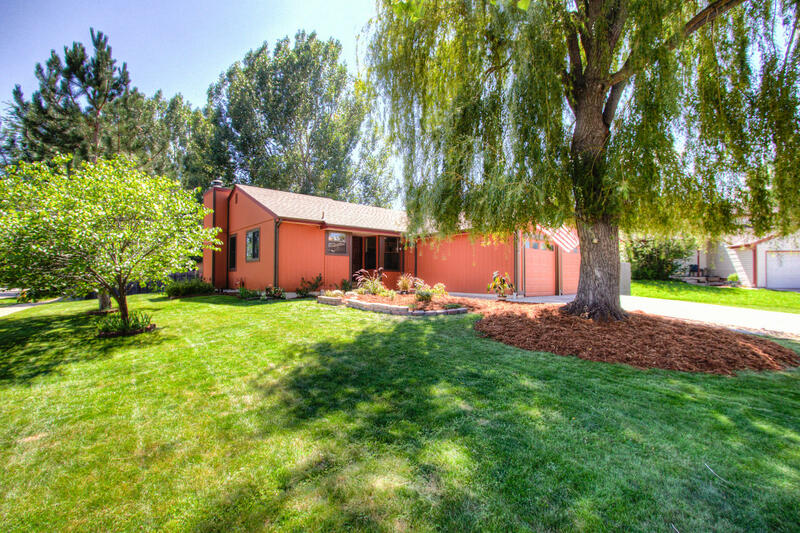 Charmingly Updated Open Ranch in beautiful central southwest Fort Collins with a fully finished basement! 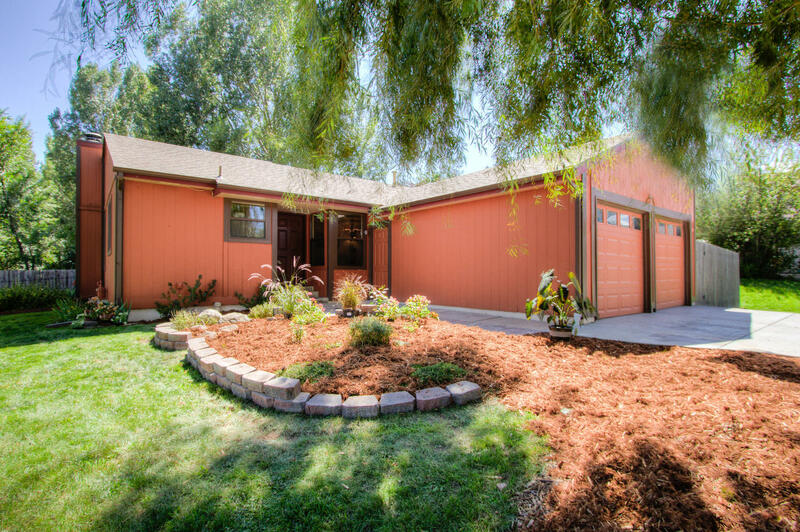 Park-like spacious corner lot on a cul de sac 8,730 SFT, well-manicured established landscaping with a new sprinkler system both front, back and in the parkway. Enjoy the perfect summer BBQ complete with a 364 SQFT deck and wrought iron fence, New Driveway, new interior paint, newer Andersen windows and doors- open layout and vaulted ceiling, alder trim. 2,164 finished square feet with 5 Bedrooms/2 Baths and a convenient 2 car garage with built-in workbench &amp; service door! 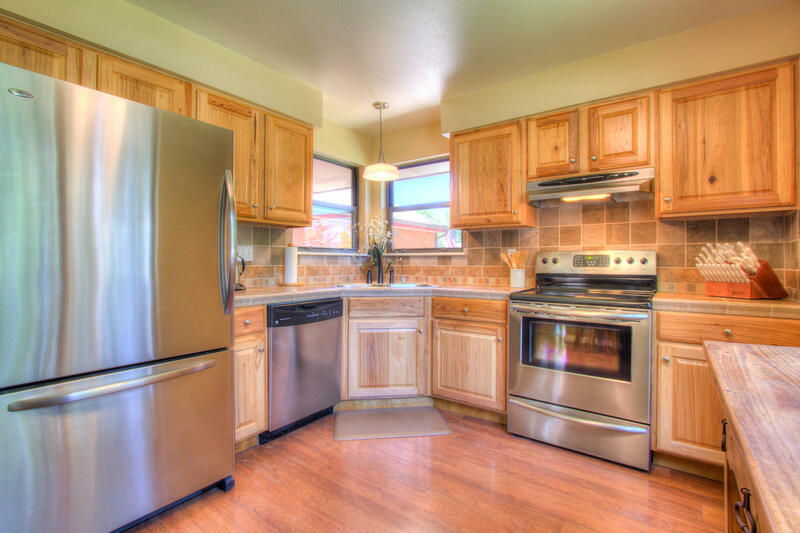 A cook’s delight with raised panel Hickory cabinetry, Stainless appliances, tile countertops and full height tile backsplash, updated sink and faucet – enjoy the breakfast bar for appetizers and entertaining! Formal dining OR main floor study. Cozy up to the real wood burning fireplace (with a cord of wood out back on the deck), amazing storage, active radon mitigation, some bedrooms do not conform in basement. Newer central A/C and furnace! Gorgeous bathroom upgrades Granite countertop and beautiful tile work! Loaded with upgraded features and finishes, master walk-in closet, new front door, newer 50 gallon hot water heater- completely Turn-key - in excellent condition! Convenient Cherry laminate flooring, R49 in attic, all new gutters 2015! Beautiful Honey locust and Red Bud trees!